WHO can become a Volunteer Leader? You can! Anyone with a passion for service and a desire to motivate others to give back to their community can become a Volunteer Leader. WHAT does a Volunteer Leader do? Team Leaders are dedicated volunteers who combine their passion for a cause with their leadership skills. They manage volunteers at projects and act as a liaison between HandsOn San Diego and our project partners. Interns gain valuable experience and skills in their current or potential career field. Our internships focus on projects that they plan with the guidance of HandsOn staff. Committee members are involved with HandsOn San Diego's behind-the-scenes work and decision making. We are currently focusing on our Fundraising Committee. WHY become a Volunteer Leader? 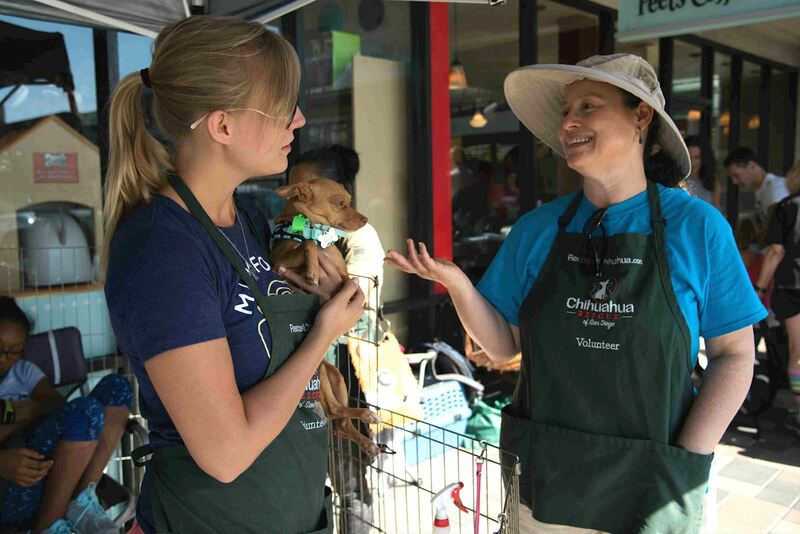 Promote volunteerism in San Diego. Build your résumé and professional experience. Help HandsOn San Diego create more services and opportunties. Meet new people with similar passions. HOW can you become a Volunteer Leader? Use the online application here (must be logged in to fill it out). If you have any questions, email Jessie at jessie@handsonsandiego.org.